Ductwork is core to any ventilation system, facilitating controlled air movement within a building. 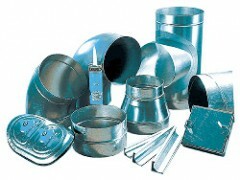 Alan Williams & Co supplies a wide variety of standard ductwork and associated ancillary fittings including spirally wound circular, oval, rectangular flanged, PVC and stainless steel options to suit any application. We are always on hand to advise on ductwork configuration and selection to help ensure your system allows the air moving product to provide the optimum air distribution and air-flow rates. Our range spans from standard ductwork (for simple ventilation) and insulated (for air-conditioning systems) to fire rated for safety and product conveying applications.